I am fundraising for The Water Project because, here in the United States, we can turn on our faucets and a seemingly unlimited stream of water will come flowing out. This is something that many of the people of Sub-Saharan Africa have never experienced. 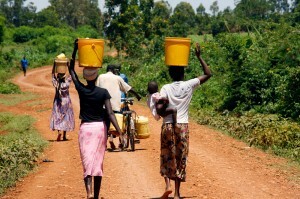 Many women and girls in this region are forced to walk 6-10 miles a day to fill jugs of water for their families. Because of this, many are not able to attend school or work towards bettering themselves for the future. It is up to us to help these communities by giving them access to a clean water source. Your help is crucial in creating a brighter tomorrow for thousands of people. Thank you for your contributions!